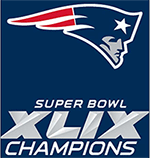 Well another NFL Super Bowl is behind us and the New England Patriots came out on top to become the champions of NFL Super Bowl XLIX (49), topping the Seattle Seahawks 28 to 24. Although this Super Bowl started out slow, it ended in a very exciting way to give the New England Patriots their fourth NFL Super Bowl championship title out of eight appearances. The Seattle Seahawks, although losing Super Bowl XLIX to the Patriots, played a very good game and one fitting of a championship NFL football team. The lucky people who saw this years NFL Super Bowl, Super Bowl XLIX (49) between the New England Patriots and the Seattle Seahawks saw one of the most exciting Super Bowl’s in recent history. Most NFL Super Bowl games are either a blowout or are very slow seeming like both teams are afraid to do something wrong. This NFL Super Bowl started out like it was going to be a slow one but as the game went one, it got better and better, leading up to a finish fitting for a championship football game. The first quarter was slow and although Tom Brady and the New England Patriots were able to move the football a little, the first quarter ended with in a 0-0 tie. The Seattle Seahawks just couldn’t seem to get their offence fired up, good thing for them that their defense kept them in the game. The second quarter had a lot more action and the second quarter ended in a 14-14 tie. Tom Brady’s first touchdown pass of the game to wide receiver Brandon Lafell is the score that broke the 0-0 tied game. After the game’s halftime, the Seattle Seahawks were able to get going and they scored 10 more points in the quarter while shutting the New England Patriots out in the third quarter. So after three quarters of Super Bowl XLIX the score was the Seattle Seahawks 24 and the New England Patriots 14. The Patriots were now down by 10 points and no team in NFL Super Bowl history had ever come back when down by 10 or more points. The New England Patriots were looking to change that. Tom Brady, not wanting to lose his third NFL Super Bowl in a row (Previous 2 were lost to the New York Giants) was a man on a mission. He quickly marched the Patriots down the field to score a touchdown with a TD (touchdown) pass to Danny Amendola. Then after the Seattle Seahawks couldn’t do anything in their possession following Brady’s touchdown, it was time to put the ball back into Tom Brady’s hands once more. Brady then marched the New England Patriots down the field and scored another touchdown with a Brady TD pass to Julian Edelman. The score was now New England Patriots 28 and the Seattle Seahawks 24. Just when it seemed that the Seattle Seahawks were going to lose this game, an unbelievable catch by their receiver Jermaine Kearse gave the Seahawks first and goal from inside the 10 yard line. After taking a time-out, the Seattle Seahawks quarterback Russell Wilson handed the ball off to Marshawn Lynch who gained 4 yards getting them down to the 1 yard line. On the next play, history was made. Russell Wilson threw an interception that was caught by Malcolm Butler of the Patriots, ending the dreams of a second straight NFL Super Bowl title for the Seattle Seahawks. Though the New England Patriots, led by their veteran and future Hall of Fame quarterback Tom Brady won Super Bowl XLIX, everyone who watched was a winner. This years NFL Super Bowl, although started slowly, was a great game and one that will be remembered as one of the more exciting Super Bowls ever. Tom Brady also won the NFL Super Bowl XLIX MVP (Most Valuable Player) award, Brady’s third. Congratulations to the New England Patriots on winning their fourth NFL Super Bowl. Everyone else, maybe next year will be your year to claim a Super Bowl title. Read my previous Super Bowl XLIX (49) article HERE! Previous Post: Super Bowl or Bust!